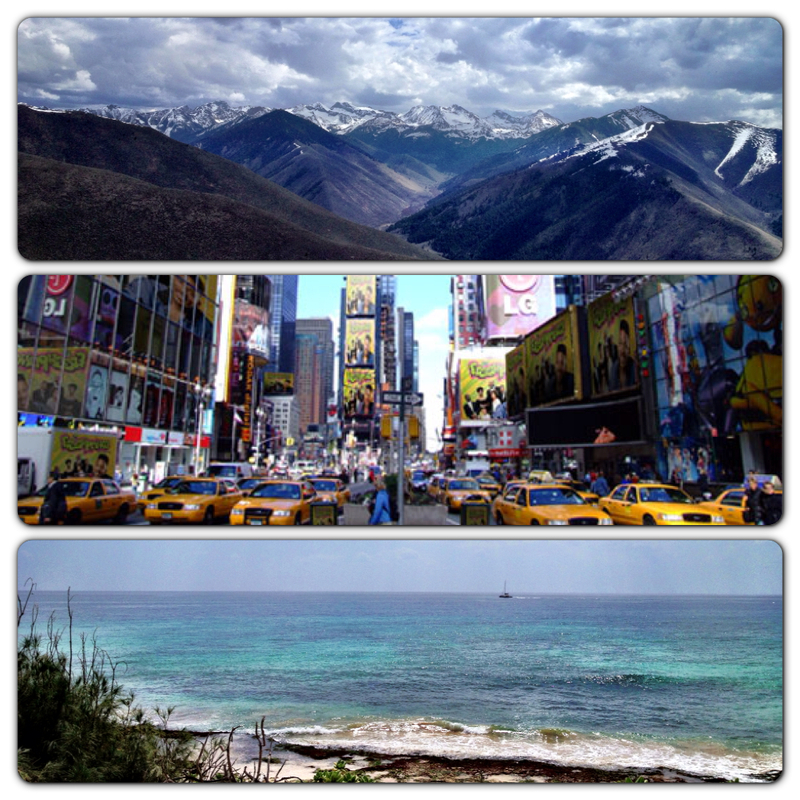 It is all so clear to me, as I look at these three different places. Can you feel the energy of the cold, arid mountain range of Idaho, the fiery precision of Times Square in New York City or the sultry warmth of the Hawaiian Islands where the water hangs over the Pacific Ocean, not a rain cloud in sight? The energy of a place infiltrates all 75 trillion cells in our body. The energy of a place has the power to alter what we accomplish, how we sense the world, how we feel about ourselves, understand others; it has the power to change who we are. 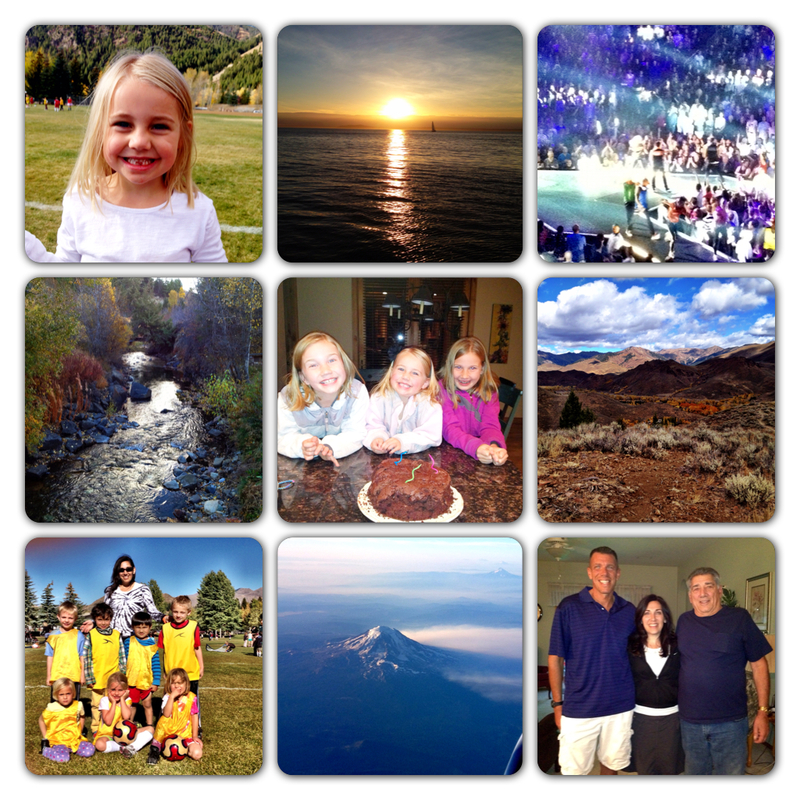 I ended my forty-second year at home in Washington State. It was absolutely beautiful. Seattle had all it’s sparkles on starting with a surprise birthday party at The Edgewater Hotel for a friend’s 40th birthday. The water was sparkling, the sail boats were out and the giant orange sun descended behind the outline of the Olympia Mountains. These are the days when you love to say you are from The Pacific Northwest. Blue sky, sparkling water, green-green trees and the magnificent Mount Rainier. Pure heaven. The next couple weeks have literally been a blur – anyone else have that happen once in awhile? My husband was leaving on the same airplane that I arrived on. I went over and waved at him behind the glass and then off he went. When he got home we celebrated my birthday with a lovely cake that he and my girls baked and frosted while I was away. It was chocolate. It was delish – of course. I watched Daughter #2 play soccer and then coached my little kindergarten/1st graders. There have been hikes, skate ski training, bike rides, the Annual Trailing of the Sheep, festivals, more soccer and a little volunteering at the girls’ school. Almost forgot the Tooth Fairy came to our house for Daughter #3’s second lost tooth. Whew! I think we are slowly getting into a rhythm of life here. It definitely is slower although clearly not slow. We are looking forward to the end of soccer practices and the beginning of the holiday season. 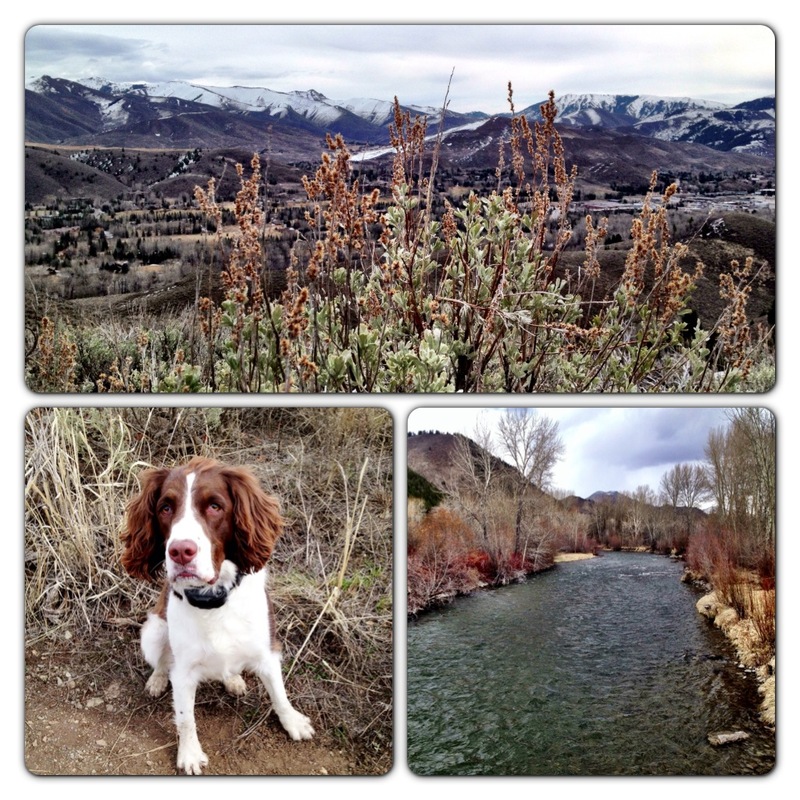 We have been in Ketchum for 3 months – a quarter year. The summer was amazing. The girls are off to a great start at their new school and everyone has a healthy glow. Things have been miraculously easy for uprooting our family to live in a ski town for the year. I am sure you can guess where this is headed especially if you have read my other Blog post in which I talk about how I usually reside on either end of the curve — never in the middle where the “balance” exists. I thought we were doing pretty well until my 8 year old has become distraught about going back home. She had a bad couple days. She is the new kid. There are too many kids in the class. There was something about the teeter-totter and a girl was mean when she asked for a turn… She likes her old school way better. That said school has BIG field trips as opposed to the “walking field trip to the museum with a bunch of square houses that look like boxes.” She misses her friends who knew her. She misses our house. She misses her stuffed animals that didn’t come along. She misses her soccer team. The list is long. “Everything was better and we need to go back!” Dad has been gone for a week so I have no back up. “It was DADDY’s idea to come here!” she says. I listened. I hugged. I talked. She cried. My sweet Daughter #2 has hearing loss in one ear which you would never know but it can cause issues especially in big, noisy classrooms, and in some social situations like the cafeteria and recess. UGH! Earlier in the day I was hiking in the these beautiful mountains and thinking about how hard it would be to return next summer. Suddenly I am ready to pack my bags and head out. I find myself telling her that she can come home with me before Thanksgiving and if the classroom is too big and if it doesn’t work then she can go to the private school (that costs way too much money). Afterwards I am thinking that she can go to the Montessori School here. Maybe we will have to go back to her private school in Tacoma. Oh my goodness. I have lost my mind! Every organized, well thought out plan that has been seamlessly implemented has been thrown out the window because my 8 year old had a bad day! This is the tough stuff of parenting and I can’t imagine how it gets tougher. I can deal with saying no to the latest electronics even though EVERYONE else has one. I can deal with breaking up fights, even teaching them those hard valuable lessons but this one was a tough one. We implemented this plan and I don’t have my husband to remind me of all the reasons why it really is good for them. By the end of dinner two out of three were in tears and telling me they desperately want to go back. Then they went outside. They had a raspberry biscuit. They started playing a game. All I hear is laughter from my three little people that I love with all my heart. I am on a roller coaster and nowhere close to the Puyallup Fair! 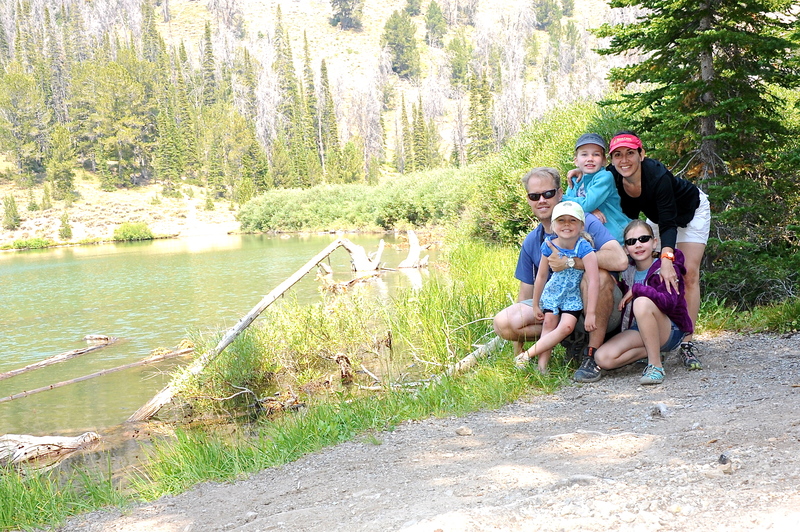 The picture is of our family on one of the many hikes close by. This is the reason we moved to the mountains. To be together. To be outside. To experience life together. 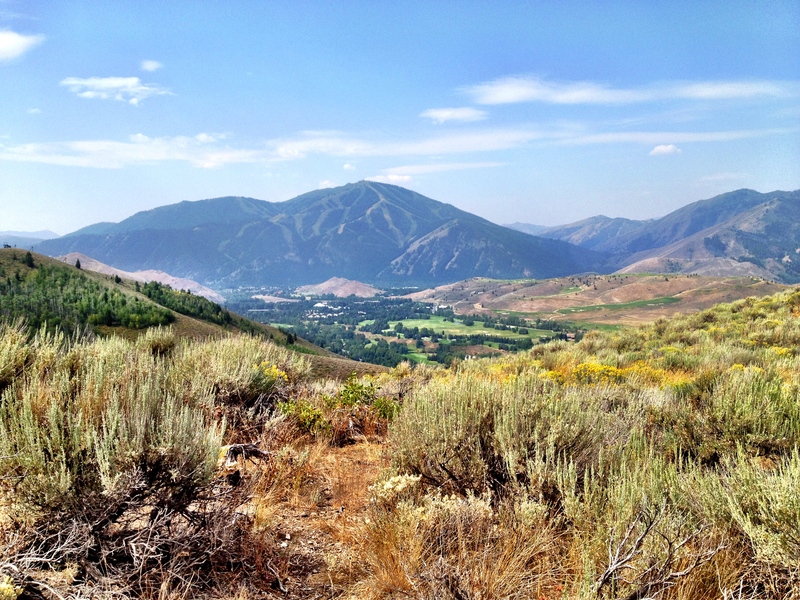 It hasn’t even been a week and we are already into the Sun Valley groove. My homemade calendar that I do every summer has been created and the ‘To Do’ list for last minute plans has been started. 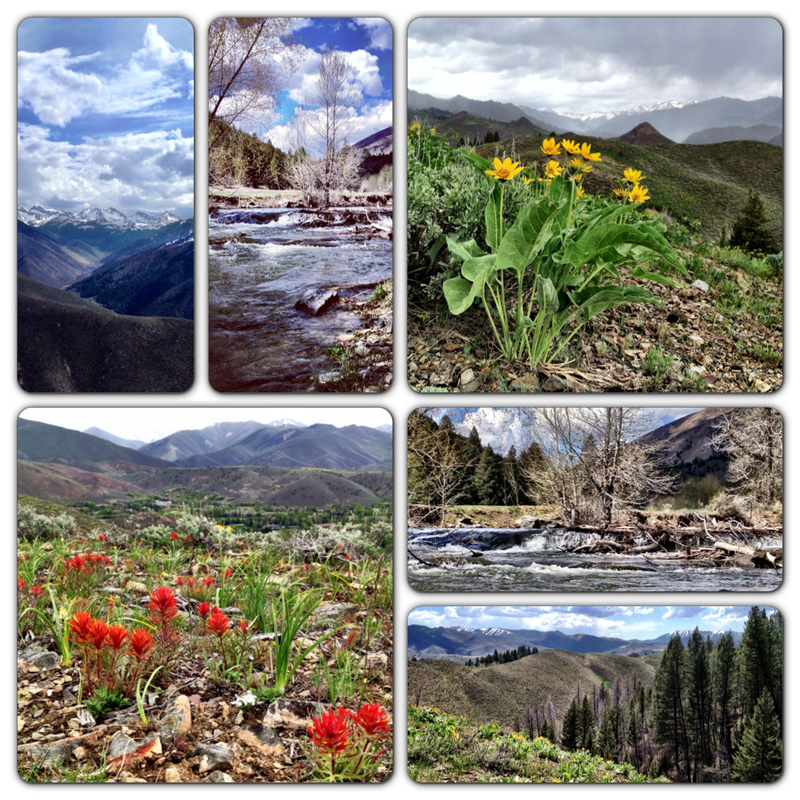 I am so inspired by all there is to do in a mountain town in the summer – especially Sun Valley. There are an infinite number of opportunities to be in nature, exercise, listen to inspiring lectures, summer camps for kids and ways to be creative artistically. I guess nothing is perfect and yesterday I experienced just that. Driving. The flip side to small town living is that you must get in your car and drive, and drive, and drive to get to, well, anywhere else. Yesterday I needed to go to Target and Costco for various things you need when you move including food at a reasonable price. This used to take 3 minutes each way as Target and Costco were literally around the corner. Three hours. It took one and a half hours each way to go shopping for kids’ summer clothes, organizing baskets, food, cleaning materials, soap, etc. I didn’t get to exercise, be outside, or create anything. The yin and yang. The calendar and things to do might be the same but we are not on vacation in Sun Valley this time. It is real life and real life requires that you don’t spend double the price on things you might need. So I will need to dedicate some ‘days’ to hunting and gathering for provisions. Today, we are going to plant some flowers. First, a 30 minute drive to the nursery that has reasonable prices. Today my family is driving to Ketchum, ID for a ONE YEAR adventure in small town living. 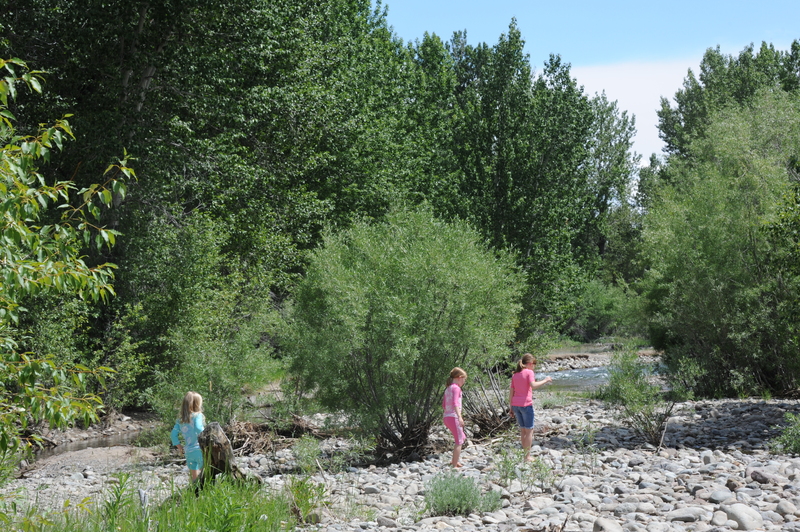 We are pushing ‘pause’ on the suburban treadmill that we have found ourselves on to live in a place where the mountains are big, the rivers fast and the sun shines all year long.